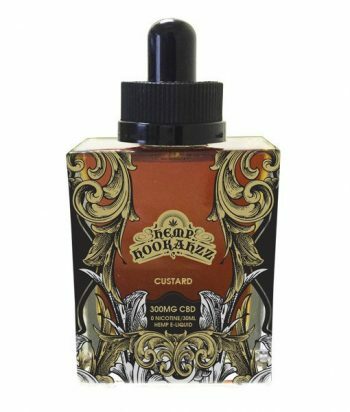 Produced in small batches, this potent e-liquid is created using a hemp CBD isolate that allows for hardy flavors and an evenly distributed CBD content throughout the product. 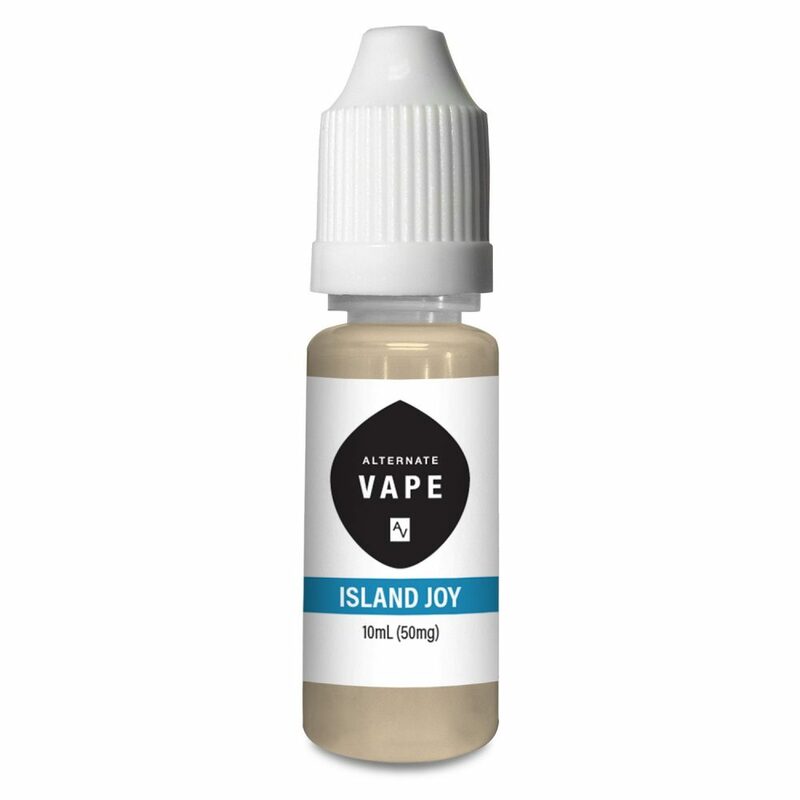 Alternate Vape is available in 12 smooth flavors that successfully cloak the earthy tones experienced with most CBD vape oils. As well as its high CBD content, Alternate Vape contains a special blend of terpenes with hints of other cannabinoids. Must be vaped in a low-voltage pen. Max voltage – 3.9V. The 50mg option comes in a 10ml plastic bottle with a fine tip to easily fill any tank on the market. This is the only size with a guaranteed 0 THC content; the higher strengths can contain trace amounts. The 100mg and 300mg CBD sizes are packaged in blue glass bottles with dropper tops to accurately fill your tanks. To fill a small tank with these, you may need to use a funnel or first transfer the oil to a refill bottle with a fine tip. There is no set serving size for vape oils and personal preference can vary greatly between people, so we encourage you to experiment to find your perfect daily regimen. Flavorings. Made with terpenes.Alternate Vape has expanding their CBD vape oil line to include more sizes and flavors. Now made with a proprietary blend of CBD and terpenes, Alternate Vape has been significantly revamped to bring you the best CBD vaping experience. What is CBD vape oil, and why choose Alternate Vape? Cannabidiol (or simply “CBD”) is a compound found in the hemp plant. CBD is known for its anti-anxiety and anti-inflammatory properties, and has been used to treat such issues for thousands of years. Only recently, since the discovery of the cannabinoid system, has solid scientific research emerged on the many benefits of CBD. Vaping CBD-rich oil is not what most smokers are accustomed to. CBD is non-psychoactive, so it does not cause a “high” like its counterpart, THC. Rather it promotes overall relaxation and a calming feeling, with many of our customers noting significantly improved sleep after vaping CBD vape oil. 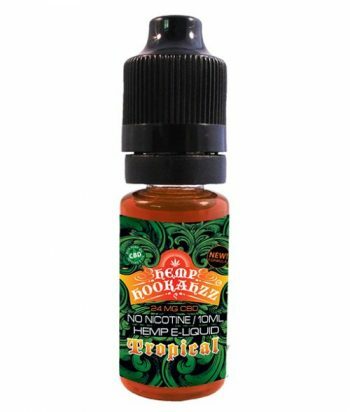 Alternate Vape comes in various great tasting flavors with 50mg-300mg of CBD and virtually no THC. This product is nicotine-free. Alternate Vape takes the anti-anxiety component CBD and tops it off with a fantastic, proprietary blend of terpenes for a stronger potency. Terpenes are organic hydrocarbons produced naturally in the essential oils of plants. Terpenes, such as myrcene, are found in the cannabis plant and largely contribute to the particular smell and color of the plants. Cannabinoids and terpenes are thought to work synergistically. According to some studies, terpenes may possess anti-inflammatory, anti-depressant and other effects. Very light and smooth, no stinging on the throat. Flavor is not too citrusie. Will definitely order more! Got the oil fast and on time. Using for my anxiety and it’s working better than expected.